Could you help make local history this weekend - through just an hour or two of your time? Through the Platt's Wood Project, descendants of the local Platt family are creating a community woodland of 5 acres that we can all use for generations to come: a real act of generosity towards and for the local community. And this Saturday, 6th December, there a mass planting of 1,400 trees scheduled at the site at the end of Oaks Avenue, off Ridge Top Lane (SK22 2JU for those from a little further afield). And they're inviting us all to help get the project off to a great start. The aim is to develop a woodland for community use, which includes shaded and open areas, biodiversity, a wildflower meadow, paths and seating which we and our descendants can enjoy for decades to come. Can you be part of this mass planting and be able to say 'I helped plant that woodland'? The activity runs from 10.00 'til 4.00 o'clock. Go along at any time. Bring a spade and, obviously, sturdy, warm clothes (the forecast is cool but dry). There'll be free hot drinks, cakes and snacks to help sustain you. Everyone will be very welcome, children especially (they'll be the long tem beneficiaries). 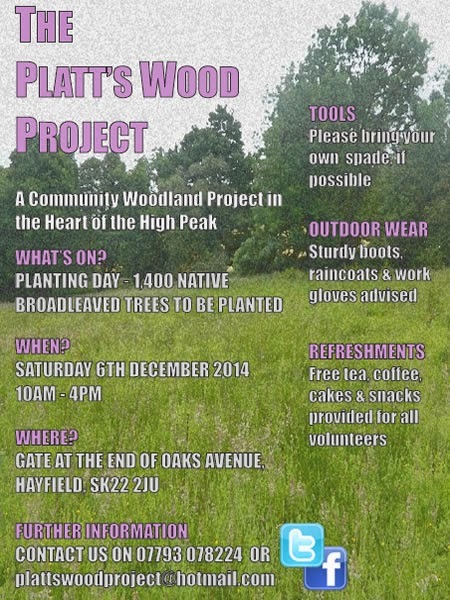 Sustainable Hayfield is supporting this great local project, of potential benefit to us all. We hope you can give a little of your time to help 'launch' our new local wood. Click 'here' to view a poster with the details. We can be sure of two things: commerce-driven pressures will ensure many people have a stressful lead-up to the Holiday, and that there will be huge amounts of avoidable waste generated. Need it be like this? 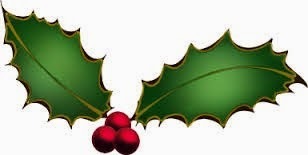 Click 'here' to see our new document suggesting ways we can enjoy the Season in greener, cheaper and more proportionate ways, which might leave a little afterglow.